Small 2 mm Czech Glass Beads & 2mm and 2.5 mm Swarovski Crystal Beads will amaze you – unfortunately some of them are already discontinued! Hi everyone. You we probably wondering what is going on at Eureka Crystal Beads. First and foremost Meghan is undergoing a surgery this week and we all wish her well and will keep our fingers crossed for her speedy recovery. Before we start we have a sale for all 2mm Swarovski Crystal and Czech Glass Beads going on right now – if you are in need of these precious, tiny beads get them now, sale ends tomorrow at 1 pm. GO TO: www.EurekaCB.com AND SAVE! 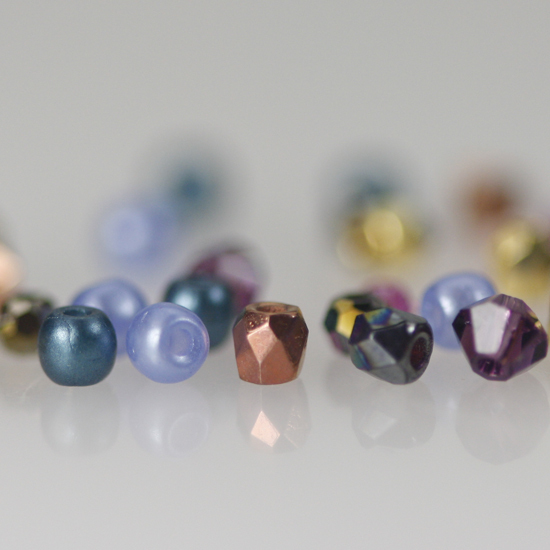 We have added new 2 mm size in Czech Druk beads. These are smooth, round beads with beautiful finishes. We have added new colors and finishes in your favorite 2 mm Firepolish beads. Use them for spacers, accents, as substitutes for crystal. 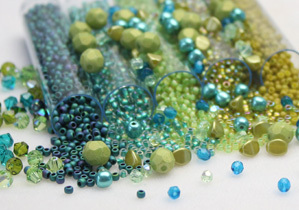 They will add beauty to your beaded project and at the same time save you money. If you would like to have a pearl look, consider our 2 mm Czech Glass Pearls, when added to your design they will tone it down, give it a warm, pastel touch. Consider buying 2 mm Round Swarovski Crystal. This size has been discontinued by Swarovski in colors. We still have some. Grab them before they are gone forever! A Swarovski Bicone in 2.5 mm is another example of a hard to get size. Swarovski discontinued colors in this size and there are almost none left around. with all the beautiful colors now available in the minduos, why are only the blandest of colors available to us. Even the design ideas for miniduos are bright wonderful colors, where are those colors. I realize that fall is coming soon, but most people like myself are working on their spring collections. Donna – as any designer you have to be one step ahead of a game. Let us know what is cool for next spring.